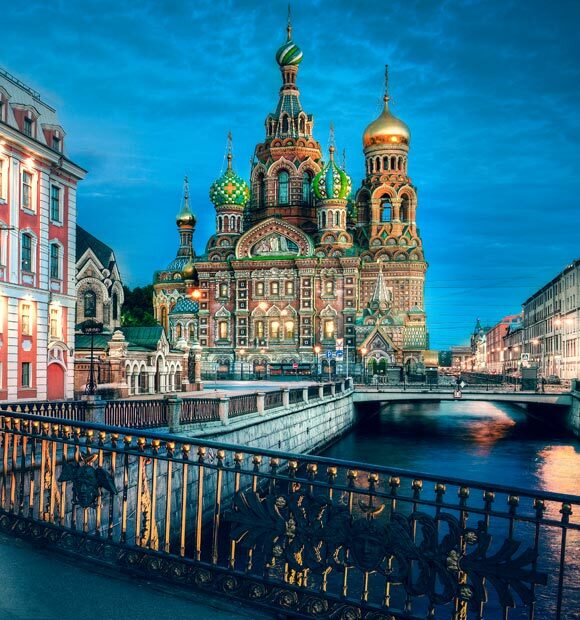 Thanks to a network of waterways, canals and lakes, Russia river cruises offer the chance to experience both of this awesome country’s most famous cities, Moscow and St Petersburg and explore the history they hold. 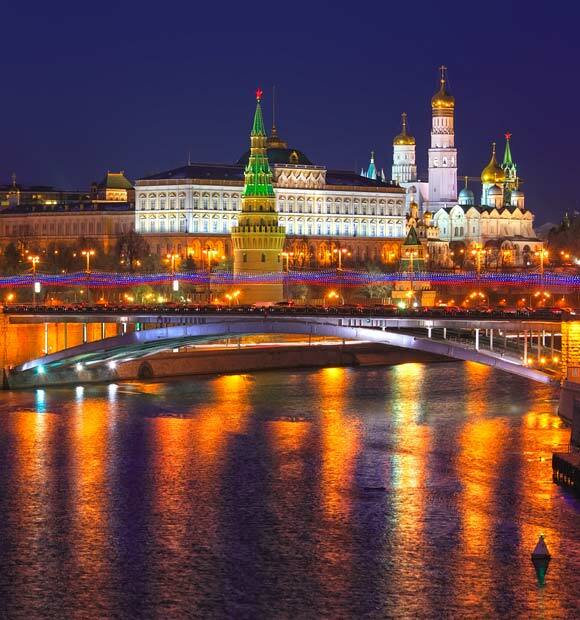 Russia river cruises always involve the country’s celebrated Volga River but they also act as a fascinating opportunity to see some of Russia’s other expansive landscapes, from huge natural lakes to man-made canals and reservoirs. 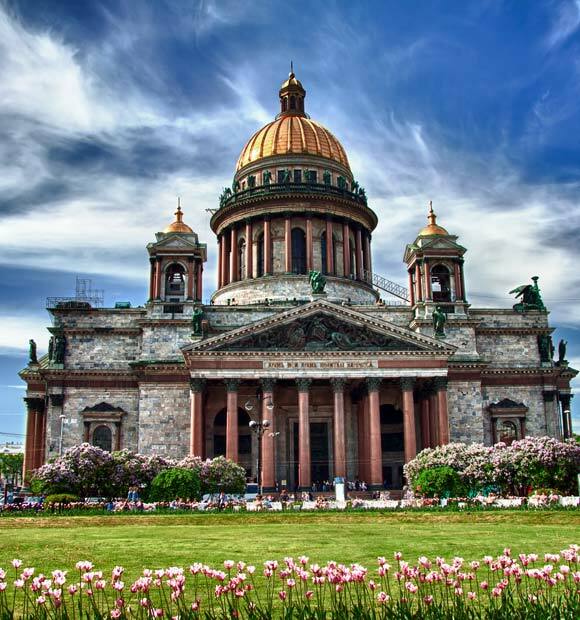 Not only will you explore major cities, you’ll also take a journey through the country’s history and experience its traditions with a trip through its ancient Golden Ring towns, which offer a fascinating glimpse at some of Russia’s most impressive and absorbing architecture. 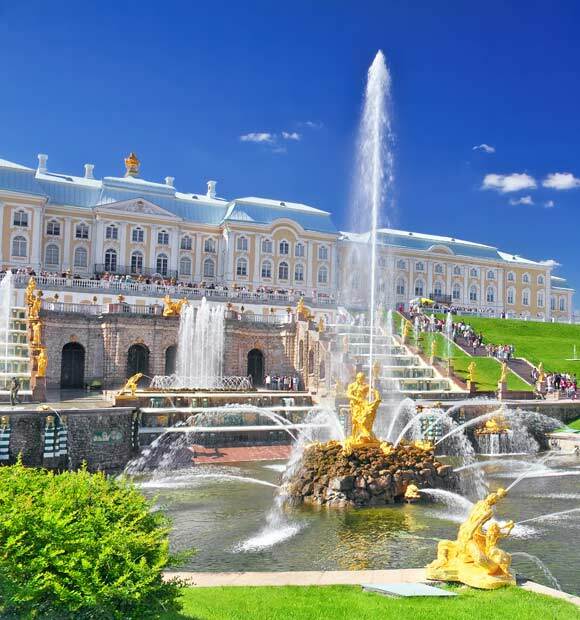 Whether you choose to begin your cruise in Moscow or St Petersburg, you’ll have the chance to experience some of the finest history and scenery that this spectacular country has to offer . 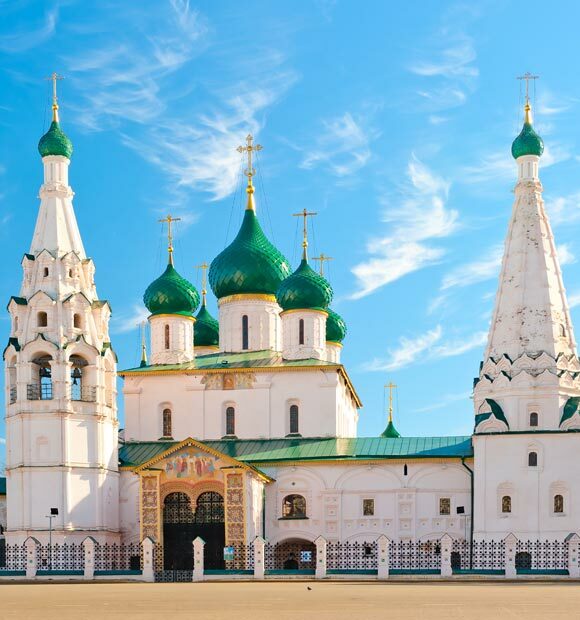 While on the Volga itself, you’ll explore some of Russia’s historic Golden Ring towns, which are inexorably linked to the country’s faith history and also to its traditional way of life acting as fascinating open-air museums. Uglich is home to a number of historic buildings, including its Kremlin and also the Church of St Dimity on the Blood. Yaroslav offers another excellent trove of architectural treasures and is a great place to pick up traditional souvenirs, thanks to its popular indoor market. Kuzino offers a traditional village experience and marks your transition onto the Volga-Baltic Waterway which links the river to lakes and other rivers by way of numerous locks, helping it to complete its journey to the ocean. Kuzino also acts as the port of call for the fabled Kirillov-Belozersky Monastery, one of Russia’s most historic sites. Also connected to the Volga by way of the Volga-Don Canal, though not typically a river you’ll visit on the same itinerary is the Don. Flowing in a South-westerly direction, this river flows for 1,220 miles before emptying into the Sea of Azov. The Dnieper is another river which originates in Russia, though itineraries which explore it tend to concentrate on Ukraine ports, a country which it passes through after leaving Russia. 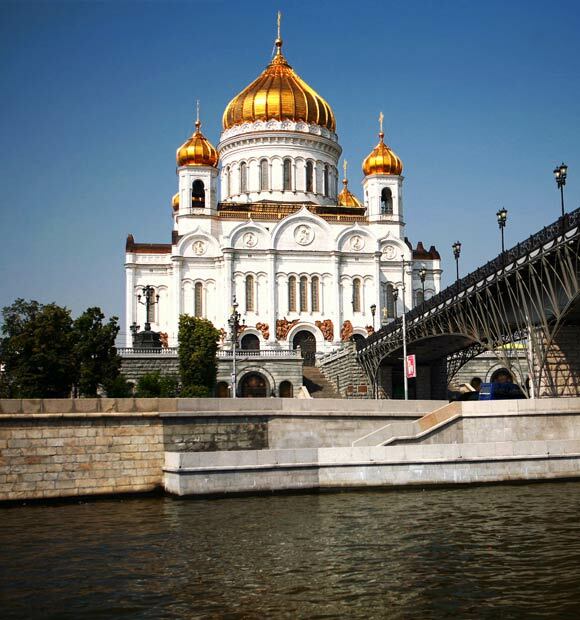 If you join your river cruise in Moscow, before joining the Volga, you’ll depart the city by way of the Moscow Canal, which meets the river outside the city. Of course, that’s not before exploring the city itself. Many itineraries will offer you multiple days in Moscow before you set sail, offering you plenty of opportunities for exploration. From the iconic Red Square, you’ll be able to experience such world-renowned landmarks as the Kremlin and the unmistakable St Basil’s Cathedral with its multi-coloured onion domes. With more time in the city, you’ll also be able to explore some of the city’s excellent museums, such as the Armoury – an incredible establishment with much more to offer than simply armour, including some of the country’s most revered national treasures. The Svir River plays a vital role in connecting Europe’s two largest lakes, Onega and Ladoga, and thus forms part of the Russian waterways network. It’s also where you’ll find the open-air museum village of Mandrogy which offers plenty of opportunities to sample the traditional way of life, from hand-made crafts and a Vodka Museum. During his rule, Peter the Great connected the Neva River with the Svir River by way of the Ladoga Canal and thus made a vital contribution to the country’s waterway network. Today, this canal is part of the Volga-Baltic Waterway and means that river cruisers have the opportunity to sail right through to the iconic city of historical treasures, St Petersburg. Again, many river cruise operators offer multiple days in this fabulous ci ty and it has to be said, you’ll need them. Top of many a visitor’s St Petersburg to-do lists is the spectacular Hermitage, an expansive museum with over 2.7 million exhibits to its name. You could easily spend a full day here exploring the many splendid works of art, sculpture and jewellery exhibits. You’ll also have the chance to see for yourself the Church of Our Saviour on Spilled Blood, regarded by many as one of the world’s most beautiful churches. The ornate 18th century Catherine Palace is another very popular site, offering a wealth of opulent rooms to explore as well as some beautiful and expansive gardens. Lying between the Svir and Neva rivers, Lake Ladoga is the largest river in Europe and presents some beautiful scenery and excellent sightseeing opportunities. Lake Onega is the second-largest lake in Europe, meaning that you’ll be able to experience both of Europe’s largest expanses of water on one voyage. It’s also home to the lakeside museum town of Kizhi. It’s a UNESCO World Heritage Site and features a wealth of fabulous wooden architecture including the celebrated Transfiguration Church, which dates back to the early 1700s.